 Djirra’s Koori Women’s Place is now offering free Pre-Employment Workshops to assist women all the way from resume writing to how to address Key Selection Criteria and getting ready for an interview. 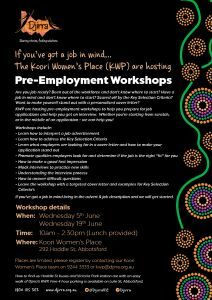 Following the success of its Resume writing workshops, KWP has extended its service offering to comprehensive Pre-Employment workshops. 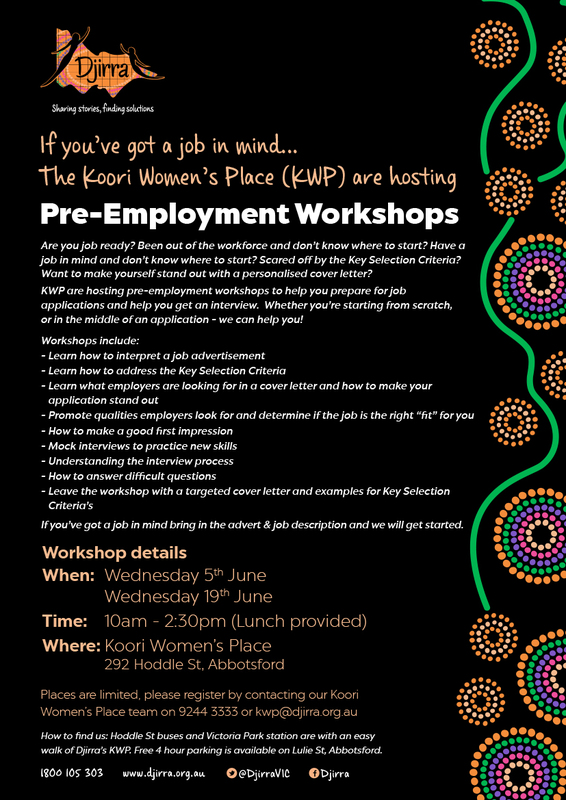 Whether you’re starting from scratch or are in the middle of an application, KWP can help you! So, if you’ve got a job in mind, do not hesitate to bring the advert and job description.